UPDATED: Lawmakers are unlikely to abolish the Driver Responsibility Program next year, but at a hearing Monday, they encouraged critics of it to submit recommendations for reform. 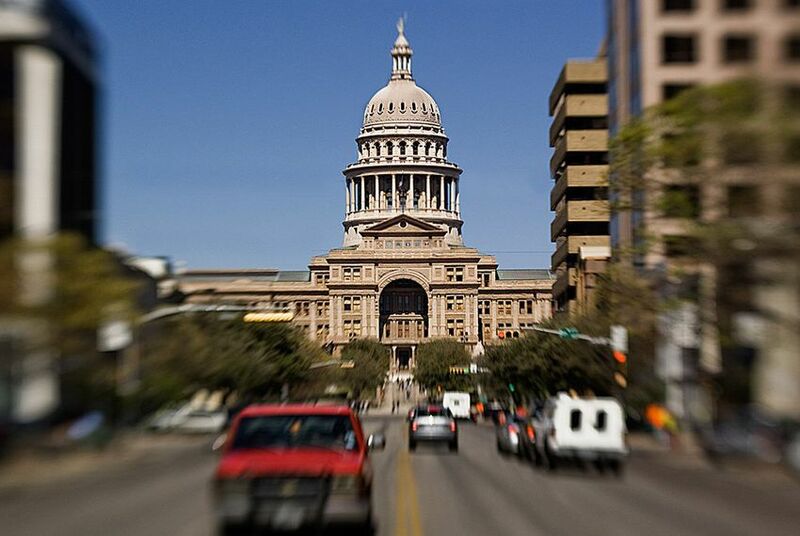 Lawmakers are unlikely to abolish the Driver Responsibility Program next year, but leaders of the Texas House committee that oversees the program said Monday that critics of it should submit recommendations for reform ahead of the next legislative session, which begins in January 2015. “I don’t see this program being scrapped in the 84th session,” said state Rep. Joe Pickett, D-El Paso, chairman of the Homeland Security and Public Safety Committee. But he acknowledged that changes to the program will be critical. “It’ll blow up by itself if it keeps going like this for another two, four, eight years,” he said. Rebekah Hibbs and Cheryl Garren, who work on the Driver Responsibility Program from the Texas Department of Public Safety, told lawmakers the most recent statistics about the program — including $3.2 billion billed to Texas drivers since the program began in 2003, of which more than $1.2 billion was collected — before presenting the agency’s reform recommendations. Proposed changes included implementing court notification for surcharges that would better notify drivers with outstanding surcharges, adding criminal penalties for nonpayment, allowing the use of credit cards to pay, changing the automatic surcharge to the point system and instituting a second amnesty period. Scott Henson, author of the criminal justice blog Grits for Breakfast, Williamson County Justice of the Peace Edna Staudt and the Texas Hospital Association all testified against the program. Bill Lewis testified on behalf of Mothers Against Drunk Driving, an organization that supported the program when it was first enacted but now wants lawmakers to reform the program to better assist the millions of drivers caught up in the surcharges. Staudt, who said she has seen many Texans become entangled in the program, told lawmakers it should end. “I will never push for anything other than the abolishment of this act,” she said. Efforts to fix the state's troubled Driver Responsibility Program have done little to help the millions of Texas drivers who have become entangled in the surcharge program, critics say, and they plan to tell lawmakers at a hearing next week that it's time to eliminate it. "The program has gone wrong in every single way," said Ana Yáñez-Correa, the executive director of the Texas Criminal Justice Coalition. The Driver Responsibility Program, created in 2003, requires drivers to pay annual surcharges on top of the fines and legal fees attached to traffic violations, such as driving without insurance or while intoxicated. Drivers aren't automatically levied surcharges for minor tickets for speeding or car accidents, but a point system is used to punish repeat offenders. If a driver accrues six points in a three-year period, a surcharge is assessed. Failure to pay results in a suspended driver’s license. Amid calls to abolish the program, which critics say unfairly penalizes poor Texans and requires drivers to face double punishment for a single offense, lawmakers have been working since 2009 to improve collection rates and reduce the number of licenses that are suspended. On Monday, the House Homeland Security and Public Safety Committee will conduct a hearing to assess the success of that work and to determine what's next for the program, which lawmakers have resisted nixing because it sends millions of dollars each year to state hospitals and trauma centers. Last year, state Rep. Larry Gonzales, R-Round Rock, along with four other state lawmakers, filed legislation to repeal the program, but it failed. The lawmaker whose legislation created the program in 2003, state Rep. Sylvester Turner, D-Houston, joined the call to end the program last year. “It was a good idea, but it has had some very bad outcomes," Turner said then. Since 2003, more than $3 billion in surcharge fees have been levied, but only $1.3 billion was collected — a 43 percent collection rate. As of March, the Texas Department of Public Safety had suspended the licenses of more than 1.4 million drivers because they failed to pay. The program is particularly problematic for the poor, Yáñez-Correa said. “It targets economically disadvantaged people who may be driving without insurance because they can’t afford it, let alone annual fees on top of a traffic ticket,” she said. Annual surcharges range from $100 for three consecutive years to $3,000 per year for a second driving-while-intoxicated conviction. “If someone had to choose between medicine, rent and [paying the surcharge], they’re not going to pay the surcharge,” Yáñez-Correa said. In 2011, DPS offered an amnesty program for drivers who had lost their licenses. They could pay a portion of the outstanding charges to get their licenses reinstated. The department also created a program for indigent drivers, those whose incomes are at or below 125 percent of the federal poverty level ($27,937.50 annual for a family of four). Those who apply and qualify pay 10 percent of the total surcharges up to $250. Last year, DPS announced an additional incentive program for drivers whose total household income is above 125 percent of the poverty level but below 300 percent. The program reduces a driver's total surcharge amount by 50 percent and allows the driver to get his or her license back. But critics of the program say the adjustments were not enough, and many drivers aren’t aware that they might qualify for reduced payments. Under the amnesty program, which lasted three months, 713,444 drivers were eligible, but only 14 percent, or just under 100,000, took advantage of it. Since 2013, the indigency program has helped 35,905 drivers, and the incentive program has helped 1,151. According to a TCJC report, none of the programs increased the collection rate by more than 2 percent. The indigency and incentive programs are “only tinkering around the edges,” said Scott Henson, author of criminal justice blog Grits for Breakfast. “They don’t cut to the core of the issue, in part, because they haven’t been promoted correctly." Even for those who know about the payment options, though, the application process can be burdensome, critics say. It requires applicants to get documents notarized and to provide financial documentation, including an income tax form. Tinkston said most of her cases have some involvement with the Driver Responsibility Program. The surcharge program only imposes civil penalties, but it suspends drivers' licenses when they can't pay, and driving without one is a criminal offense. Unlicensed drivers are often sent to jail, especially if they've been caught before. In small, rural areas like Hockley County, police officers often recognize drivers who have suspended licenses but decide to drive anyway because they have no other means of transportation, Tinkston said. Justice of the Peace Edna Staudt of Williamson County, in Central Texas, said she also deals with many frustrated Texans who are affected by the program. Staudt said she believes the program is unconstitutional because it penalizes drivers twice for the same violation. “If you get a DWI, you go to jail, pay the fine. If you can’t afford to pay, you can do community service hours. The surcharge is an additional punishment,” Staudt said. Along with Henson and TCJC, Staudt said she plans to attend the hearing next week to speak against the program. Because they've been told that it's unlikely that lawmakers will repeal the program altogether, Henson said they're prepared to offer additional reform suggestions, such as offering a second amnesty period with more advertisements. But, ultimately, Yáñez-Correa said, Texas lawmakers need to find a different way to raise money for trauma care. Texas Hospital Association spokeswoman Carrie Kroll said the organization stands by the program, because it pays for more emergency trauma care in Texas. Regional trauma care facilitates the transportation of severely injured patients in rural areas to appropriate hospitals. In 2012, Texas trauma hospitals received $55 million from the program — about 23.5 percent of what it cost the hospitals to provide uncompensated care. “We understand the difficulty people have with the program, but we believe the trauma care system is very important,” Kroll said. *Editor's note: An earlier version of this story placed the number of drivers that took advantage of the 2011 amnesty program at 713,444. That was the number of eligible drivers. A previous version of this story also did not accurately report the position of Mothers Against Drunk Driving. The organization continues to support the program but wants it to be reformed.